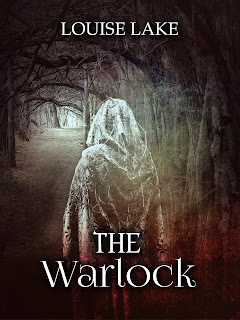 After taking a short break from writing recently, in order to finish other studies, I have now continued writing The Warlock and Heaven's Curse Worlds Apart. I'm hoping to have one, if not both of the books finished by the time winter comes. 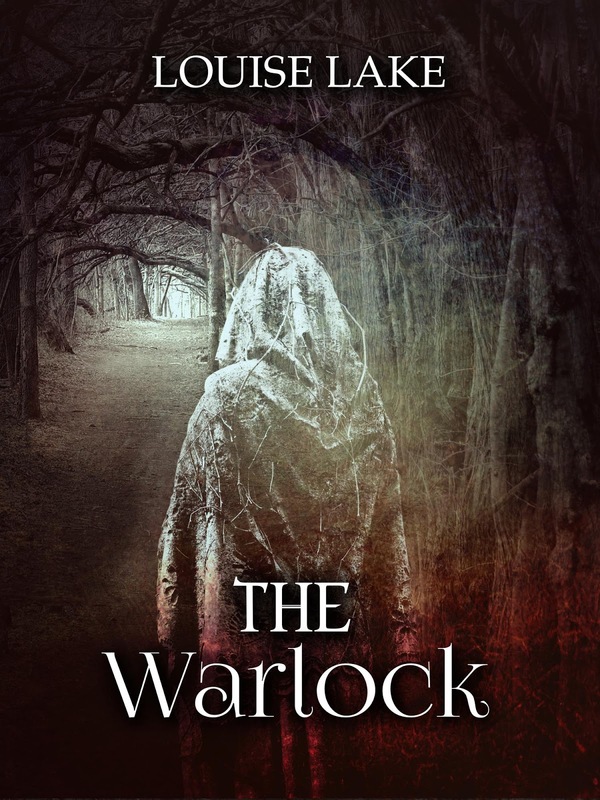 Here is a first look at the book cover by SelfPubBookCovers.com/FrinaArt, and the first chapter again (in case you missed the video last time) along with the next part of The Warlock. I hope you enjoy reading it. 'I fear we've already been here,' the man said to his kin. As they turned the corner, walking further down the silent path, it was evident that they were lost. 'I told you we shouldn't have come this far out,' the man spoke a second time, as his wife sighed in response. Earlier that night they had mistaken a wrong turn for the right direction, which had been given to them by a solo traveller on the road. It was the first time they had strayed so far from their kingdom, and now they wished they hadn't gone to the festivities that a small town named Crease had to offer - on the outskirts of the three kingdoms. But Crease was well known for its merry making and triumphant festivals. This particular festival marked the historical event known to the realm as The Triple Conjunction. The Triple Conjunction happened over three thousand years earlier, when one singular species was separated into three beings. The first remained from the origins of the realm, known as mankind. The second evolved soon after, with ears that pointed towards the stars and a deep affinity of knowledge and sight seers, they were named The Elven Race. And the third came later, born from magic hidden within the realm, these were a very special species that could control the elements of nature in order to perform magic, this race became known as La Fae. At first, mankind could not accept the other species, and so a great war broke out amongst the three species. After many deaths and destruction in the realm they formed a peace treaty, that enabled them to divide the realm into three separate kingdoms, reigned by each of the species. These kingdoms came to be known as the Kingdom of Erinor – a place where mankind resided, the Elven Kingdom and the Kingdom of La Fae. Eventually, after the many years of hatred faded from each Kingdom, most of the people from each race came to show a level of love and respect for each other, as they did their own. Although, as there is in every race there were still a few opposed to peace. Earlier in the day, when the couple embarked on their journey to Crease, they had a map of the roads ahead in their possession. Somehow during the festivities they had managed to misplace the map, leading them to the predicament in which they found themselves. Lost and alone, straying further from the path, the couple heard the echo of a cry in the distance. 'What was that?' the woman asked her husband. 'I'm not altogether sure,' her husband replied. Holding their hands tightly together, they walked further into the darkness that consumed them. Another cry sounded through the trees, echoing onto the road ahead. The closer they came the louder the cries grew, until they no longer faded into the distance. The sound grew clearer as they stepped forward. 'It's a baby,' the woman said to her husband. 'Are you sure?' He replied. 'I would know a cry like that anywhere.' They glanced into each other's eyes unknowing to what the path ahead might mean for them. The couple had been trying for a child of their own for many months, but, with no luck they had given up on the idea of having a family. Instead, they drew comfort from each other knowing that their love would never fade, even though it would forever just be the two of them. The woman had a sister who was very fortunate, as it seemed she had been blessed with all of the luck, where bearing children was concerned. Her sister had given birth to thirteen healthy children. She had once offered the couple to have a child for them, but, they politely refused as they imagined how awkward things would become between them. If they had a child they wanted that child to be their own. The couple stumbled upon a sunken circle of stones that lay in a small clearing, surrounded by wildly twisted trees. The trees almost looked as if they were in pain, as black sap dripped from them like sinful tears. In the centre of the stone circle lay a bundle of loose leaves and carefully snapped twigs. The couple stepped closer to the stones, only to hear another cry. The cry was in close proximity this time. Then, they noticed the tiny feet poking out of the bundle. There, in the centre, lay a new born baby crying out for the mother who had abandoned him. The woman rushed forward without considering the consequences, until her husband placed his hands on her shoulders to pull her back. 'You mustn’t touch the child, they are there for a reason,' he said, pointing toward the stones. 'But it’s a baby, abandoned and all alone, to never know the love of a mother or father.' The man stood staring in the child's direction. 'You're right, we must take the child with us,' he insisted. The woman rushed forward once again, this time with her husband's consent. She lifted the baby from the ground, holding the child tight in her arms, before proceeding back towards her husband, until she heard a whisper. It was as if for just one moment time had stood still, until she heard what the whisper was saying. Ignoring the whisper and any consequences the stones may have, the woman continued towards her husband. Swearing to never let the child go and not to speak of this night to anyone, the couple found their way back onto the path, and with a child of unknown origin they returned home. 'Raegan, Lenora, Pettigrew, your mothers are looking for you,' a woman with short, spiked white hair shouted. The children looked at each other with faces full of smiles. With no intention of letting their mother’s find them, they hid under the broken bridge by Blackthorn River. 'What shall we do now? You know they will find us,' said Pettigrew as Raegan and Lenora laughed. ‘Maybe we should follow the river and see where it leads us,’ Lenora suggested, running her fingers over the crystal blue water. ‘Yes and then our parents can have us strung up like pigs for disobeying their orders,’ Pettigrew replied with a sarcastic tone. It was common knowledge that whenever children acted out in the Kingdom of Erinor, their parents would hang them from a tree by their ankles until they surrendered and promised to be good. ‘I tell you what, why don’t we just go home and leave the adventures to the adults,’ Raegan replied to Pettigrew with a grin creeping up his face. ‘Alright I’ll go,’ said Pettigrew with a look of uncertainty washed over his face. The children walked on the banking following the river for miles, with wet muddy feet, they continued until they reached an unfamiliar looking man. The man was washing his arms in the river. As the children came closer to the man, they noticed a red tint lingering in the water. ‘Do you think that’s blood?’ Pettigrew whispered, ready to turn back. ‘There’s only one way to find out,’ Raegan answered without fear. Pettigrew and Lenore both turned to look at each other, each of them speaking to the other’s eyes without the need for words. Instinctively fearful, they crept slowly behind Raegan, until they had caught up to their friend. ‘Excuse me, Sir, may I ask, is that blood?’ Raegan spoke, his eyes gazing into the tinted river with a desire for adventure. ‘And what if it is lad?’ The man replied, stretching his legs out until he stood tall, hovering over Raegan. Raegan gulped at the sight of the man, as he rose from his crouched position. He must have been six and a half feet tall at least. He was like a giant compared to the children, who were not yet five feet tall. The man eyes were filled with untold secrets. Raegan stared at the man, not realising just how long he had been looking. The man sniggered and whispered something under his breath before he stood as close as he could get to the boy. Raegan shuddered as the giant came closer, while Pettigrew and Lenore stood not knowing how to react. What if the man grabbed Raegan and broke him into tiny pieces, he was huge and looked strong enough to take down an entire army, if he so wished. Then the man leaned down towards the children until he came eye to eye with Pettigrew. ‘Boo,’ the man said, with a look of aggression spread across his eyes. Pettigrew jumped out of his skin, and grabbing Lenore’s hand, he ran as fast as his feet would carry him. Lenore also scared out of her wit ran just behind Pettigrew, glancing back at Regan as she did. But Raegan still stood there alone with the giant. The man returned to the water, as he continued to wash the blood from his arms. ‘May I ask whose blood that is?’ Raegan asked. ‘You may ask, but I won’t tell you,’ the man replied with secret-filled eyes. ‘You’re a hunter? I’ve never met a hunter before,’ Raegan’s eyes lit up with excitement. ‘I doubt you’ve met very much of anything,’ the man replied. ‘And how old are you Raegan?’ Bayern asked whilst pulling a large carcass from the water. ‘A hundred and thirty-two months Sir.’ Raegan replied, staring at the dead deer. Bayern picked the deer up like it weighed nothing, throwing it on the ground behind him. ‘No Sir, he has not.’ Raegan replied, realising he knew very little of the world outside Erinor. ‘Oh yes Sir, I live for adventure.’ Raegan replied in excitement. ‘In there?’ Raegan asked, pointing towards the Forbidden Forest. ‘Where else?’ Bayern replied with a smile. Bayern pulled the deer’s carcass from the ground, balancing it on top of his shoulders, before continuing towards the edge of the forest. Raegan lingered in silence for a moment, considering his options, before he followed Bayern into the Forbidden Forest, unknowing that it would unlock secrets far greater than learning how to hunt. After hours of searching for their lost son, Hogarth and Myra Crane had come to the conclusion that he was lost forever. Myra wept at the loss of her only child, mourning the son she had come to love above all else. Time dragged by only deepening their loss, and as Myra and Hogarth searched the kingdom of Erinor, finding no evidence of where their son might have gone. Suddenly, in the early hours of the following morning, Myra heard a creak coming from the entrance of her home. She shook Hogarth from his peaceful slumber, and they made their way downstairs armed with a blunt knife and twisted fork from last night’s supper. The couple crept down the steps as quiet as they were able until Hogarth lost his footing resulting in tripping Myra up from under her feet, as they both landed in a heap at the bottom of the stairs. The couple rose to their feet in haste, in case their intruder had planned to attack during their moment of weakness. But as they scanned the room, they did not find any unknown intruder, what they found instead was something they thought they had lost forever. ‘Where have you been, son? We’ve had a search party looking all over for you,’ Myra wept, grateful for her child’s return. ‘Did he hurt you, Rae?’ Hogarth asked with a serious expression. Just moments later Lenore and Pettigrew came rushing through the door. ‘Rae are you alright?’ Lenore asked, fidgeting with worry. ‘God has nothing to do with it,’ Raegan smirked. ‘He has everything to do with it, we thought you’d been eaten by that giant,’ Pettigrew butted in. ‘So where did you go?’ They all asked at once, eager to uncover the truth of where Raegan had been for an entire night. ‘We went into the forest; he taught me how to hunt,’ Raegan replied, smiling at the memory of his first kill. ‘You went where?’ Hogarth shouted. ‘The forest,’ Raegan repeated with weary eyes. ‘Yes, I heard you the first time son, why on earth would you go into the Forbidden Forest, it is called the Forbidden Forest for a reason Rae,’ his father continued. Lenore froze with a look of despair in her eyes, her mind filled with questions like are we not enough for you? ‘I know you do, but you forget you are still a child. You are growing up too fast, but I guess it’s only natural that you should stray to the place where this all began,’ Myra blurted accidently. Every face in the room looked at Myra with shocked expressions, while Myra covered her face with her hands displeased with herself for unleashing the truth. The truth was eating away at Myra more now than ever before. Her son was getting older, he would soon be a man, and did he not have the right to know where he came from? And the whisper, she would never forget what the whisper had said to her that day. Those dreadful words that gave her nightmares for years. Her husband gave her a look that spoke to Raegan of untold secrets, just what were they hiding? Myra Crane’s eyes filled with tears, as she looked away from the boy she had known as her son. All of the faces in the room waited with eager eyes, but none more eager than Raegan’s. Raegan demanded his mother tell him the truth. ‘Are you even my mother?’ He asked, his eyes welling up with dark sadness. ‘It is time, you knew the truth,’ Myra said. ‘No Myra, what are you doing?’ Hogarth interrupted. ‘He has a right to know,’ Myra protested. Lenore and Pettigrew hung their heads, not daring to look into anyone’s eyes for the fear of being shouted at. The room was filled with intense emotions, but most of all, Lenore could feel Raegan’s anger festering towards his mother, and so she decided to make a stand. Walking over to where Raegan stood, she placed her hand in his. He looked into her big blue eyes - her dusty blond hair feathered against her neck, before he slowly released his hand from hers, leaving the life he knew behind.